Unless you’ve been hiding under a rock for the last 5 years you’ve probably heard that the peer-to-peer renting market has been exploding. Pioneered by the likes of AirBNB, the camaraderie feeling you get when making a purchase or booking through one of these websites is palpable. “Many people initially looked at these sites as suspicious or un-trustworthy”, explains Dock Skipper founder, Cabe Nolan. “However, the feelings you get from users who have utilized these services are the complete opposite. People feel more secure, they feel like they’ve made friends with the host, and many statistics indicate up to 95% of guests would rent again”. While the major players in the peer-to-peer renting markets are well known (AirBNB, Uber) there are probably many that you didn’t know existed. We’ve compiled a comprehensive list of the best peer-to-peer renting & sharing websites on the internet today. Give one (or all of them) a try, you won’t regret it! This probably doesn’t need much introduction. Founded in 2008, Airbnb is a trusted community marketplace where users can list and book unique accommodations around the world. 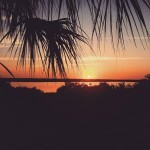 Accommodations can include a single family house, apartment or even a castle or waterfront villa. We reported a couple months ago that AirBNB was quickly approaching one million guests utilizing the service every night. Uber is transforming the way people move by connecting riders to drivers through their collection of mobile apps. 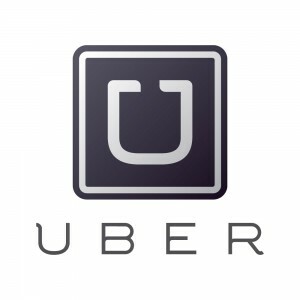 Uber is expanding their network worldwide as it is quickly becoming the number one source for taxi transportation. Have you ever been on a boating trip and needed dock space for the night? 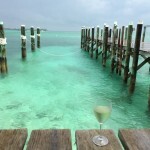 Or maybe heading down to fish in the Florida Keys and needed a week long slip. 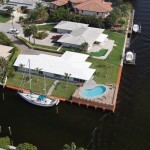 Enter Dock Skipper, connecting homeowners with empty dockage to boaters looking for space. Avoid those excessively high marina fees by booking private. Even gain extra amenities like use of laundry facilities, bicycle usage, showers, and more on certain properties. Need a boat for the day? Look no further than BoatSetter. They’re a South Florida based company who facilitate the rental of privately owned boats to pre-screened, verified renters. Don’t have any boating experience? Not a problem either! For an extra fee they will also supply the captain, all you need to bring is your towel and sunscreen. Cities are always more fun to explore by bike. However, do you really want to rent out the old beach cruiser with the chain falling off? Why not pick out the bike of your dreams? Before even departing on your trip. Spinlister is the place to look. 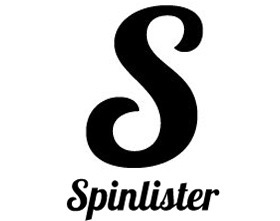 Spinlister connects private bike owners with renters looking for short, or long term rental. What about surfboards? Of course there’s a site for that! The World Is Your Quiver is their tag line and it lives up to every expectation! Now you don’t have to rent out that 8’ soft top from the surf shop when you really want a performance Channel Islands shortboard. Founded in 2009, Relay Rides is disrupting the $60 billion dollar car rental industry by connecting car owners with idle vehicles to renters looking for a short or long term rental solution. They have created a platform that provides unparalleled selection with rates up to 40% less than that of major rental companies. Leaving your furry friend can often be tough decision. While most have access to a dog sitting business, you have to wonder if they get enough attention being surrounded by dozens of other pets. DogVacay to the rescue! Connecting qualified and screened pet sitters to owners. As you can see, there are dozens of sites out there that can assist in the peer-to-peer sharing of available and unused resources. This industry has shown tremendous growth over the past 4-5 years and doesn’t show any signs of slowing down. Next time you’re on the search for something (nearly anything), give the peer-to-peer marketplaces a search. More than likely you’ll find it, be supporting people just like you, and in most cases get a great deal!